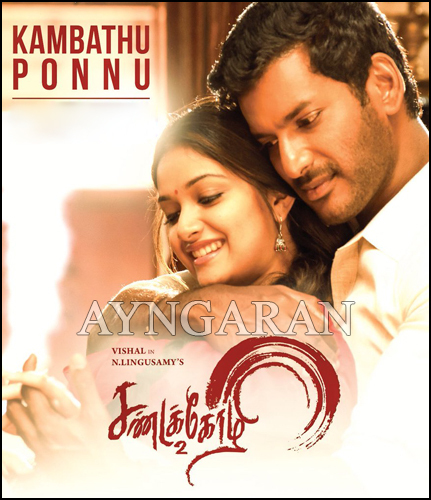 Vishal’s ‘Sandakozhi 2’ second single track ‘Kambathu Ponnu’ releasing today for yuvan’s birthday special. Sandakozhi 2 (Tamil) & Pandemkodi2 (Telugu) simultaneously big release for Pooja weekend holidays on 18th October. Directed by Lingusamy which has Jointly produced by Vishal Film Factory and Pen Studio, Sandakozhi 2 will see veteran actor Rajkiran reprising his role from the original 2005 blockbuster, Sandakozhi. Featuring music by Yuvan Shankar Raja, the sequel this time will see one of the most popular stars at present, actress Keerthy Suresh playing the female lead. The stars also Varalaxmi Sarathkumar Soori and Ganja Karuppu in pivot roles.